Want to tweak your Assassin’s Creed Origins experience, but aren’t brave enough to fool around with unlicensed mods? Well, you’re in luck, as Ubisoft will be adding the Animus Control Panel to the PC version of the game tomorrow. The Control Panel lets you make Origins your own by playing with 70-plus different parameters and sliders. You can check out a few of the things you can do in the trailer, below. Looks like a fun tool to tinker with – I’m excited to gather my own hippo army! It will also be interesting to see what other characters we’ll be able to play as. For those who missed the initial Animus Control Panel announcement, here’s a rundown of what it includes, and a look at some of the parameters available. 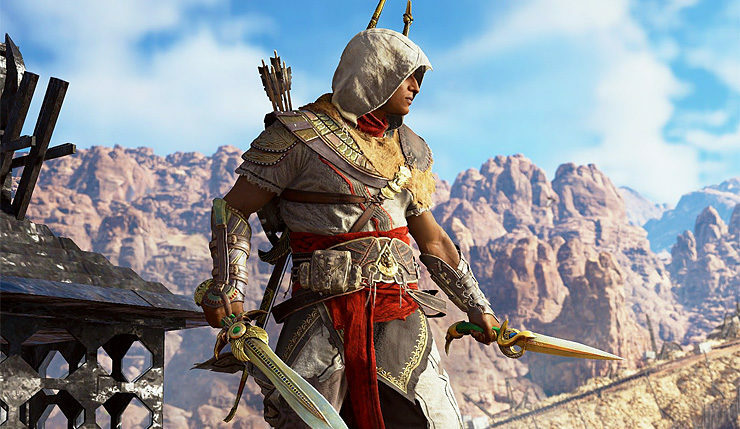 For the first time in an Assassin’s Creed game, players will be able to tweak some game parameters to create their own game experience, thanks to the Animus Control Panel for PC. The Animus Control Panel will be deployed on PC later this month. Ever fancied having three animal companions? The Animus Control Panel is your go-to. Ubisoft has definitely gone above and beyond with Assassin’s Creed Origins. 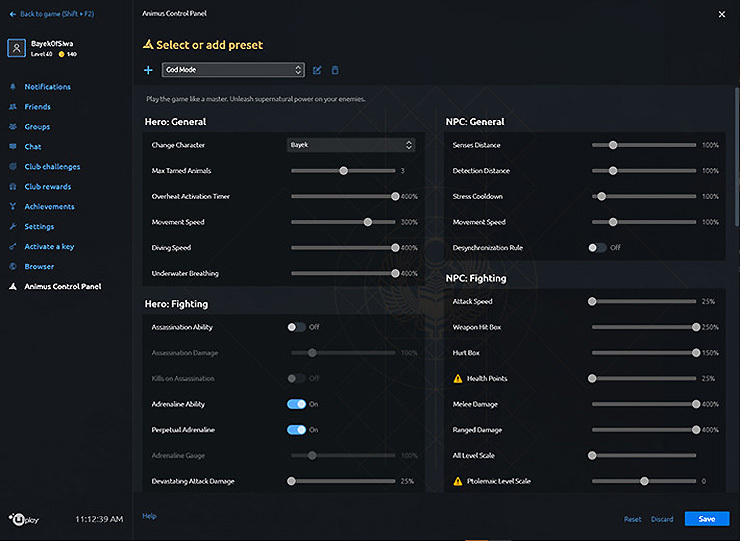 While not as versatile as actual mods, this kind of control panel is a nice option for more casual players who don’t want to go messing with their game’s code. It’s a feature I’d like to see in more games, both on PC and consoles. Assassin’s Creed Origins is currently available on PC, Xbox One, and PS4. As mentioned, the Animus Control Panel will be available on PC tomorrow (April 19) as a free update.